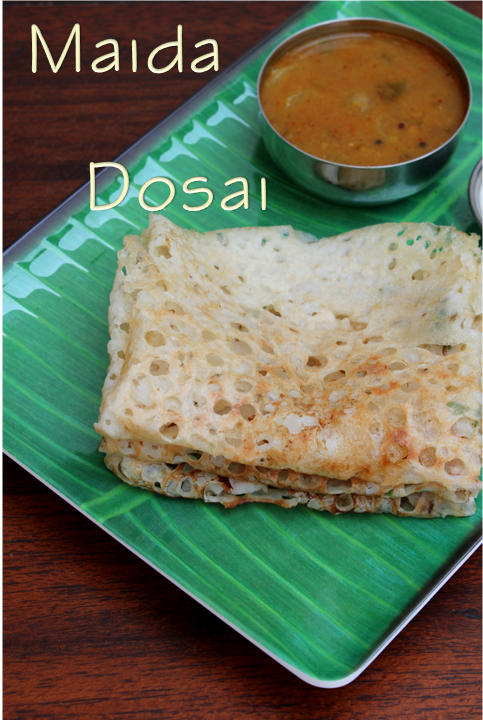 This is different variety of dosa with maida or all purpose flour.Even though it is not very healthy it is a easy one with easily available ingredients at home,especially when you do not have the idli or dosa dough.It is an instant dosa which you can prepare immediately.This dosa is not crispy in fact it is soft! 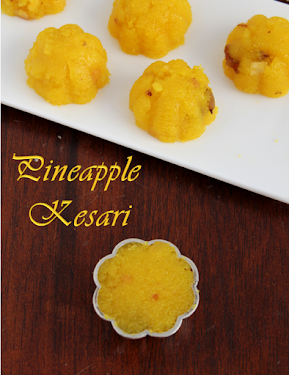 !You can add some chopped onions to enhance the taste. 1.Mix maida,rice flour,salt,chopped green chilli,curry leaves with water. 2.Make it into a smooth paste without any lumps. 3.Let the consistency be little watery than the normal dosa dough. 4.Take a full laddle of dough and Pour it into the hot dosa tawa .It spreads on its own, cook till one side becomes slightly brown.sprinkle some oil. 5.Turn the dosa on to other side,reduce the flame and cook for a minute. 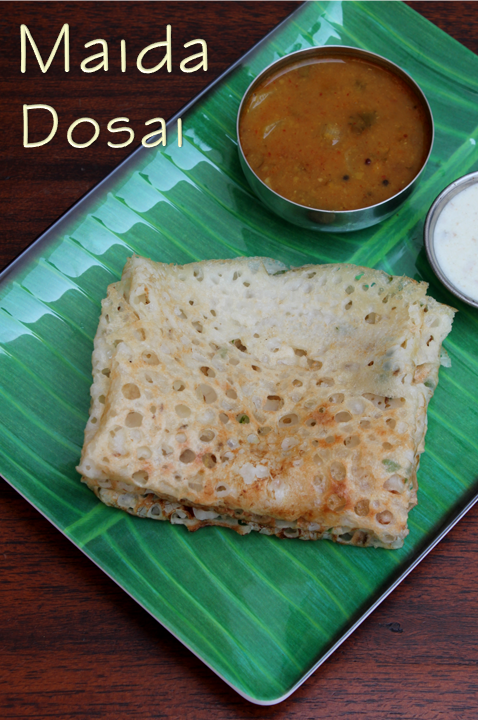 Enjoy the dosa when it is hot with some sambar,chutney or gothsu. The above quantity makes 5 dosas so you can measure accordingly. You can also add some coriander leaves and chopped ginger for more flavour. Let the consistency be thicker than rawa dosa otherwise it is difficult to make. If it is not coming out from the tawa try adding some more rice flour to make it thick.